If you suffer from migraines, you may actually experience fewer of them after becoming pregnant, particularly in the 2nd and 3rd trimesters before birth. “This is likely due to a rise in estrogen levels,” says Dr. David W. Dodick, professor of medicine at the Mayo Clinic School of Medicine. However, a recent study found women with migraines are also at risk for vascular complications, have more sleep complications, and seem to be more overweight during pregnancy. To avoid these complications, keep your blood pressure and cholesterol under control and stop smoking before becoming pregnant. Talk to your nurse about any medications you may be taking to treat migraines. Breastfeeding is the easiest and most rewarding way to bond with your baby; you’re providing her with nourishment and personalized nutrition while you get a boost of happy hormones that bring you both closer. Moms who begin to nurse their babies right after birth, and continue through their hospital stay, achieve the great success with breastfeeding while reaching their baby feeding goals. 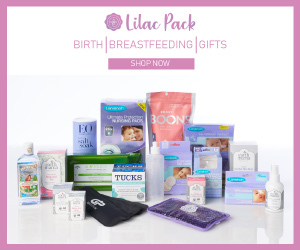 Check out our newest Parent Pages (USE FOR GRAPHIC-GRAPHICS MARKED AS PARENT PAGE 1 AND 2 IN DROPBOX) and video that are designed to help you prepare to breastfeed your baby, as well as work with your nurse to begin breastfeeding your baby at birth. Our latest videos, How Will My Baby and I Begin Breastfeeding? (http://bit.ly/beginbreastfeeding) and How Do I Prepare for Breastfeeding? (http://bit.ly/preparebreastfeeding) feature educator and Healthy Mom&Baby advisor Charlotte Wool, PhD, RN. Download brand-new Parent Pages on breastfeeding with even more advice to get you on the right track at http://bit.ly/breastfeeding-basics. Diaper rash got you feeling frustrated? This painful condition is common in babies 9 to 12 months old and usually clears up quickly with care. Download brand-new Parent Pages on diaper rash on Health4Mom.org at http://bit.ly/diaper_rash. You’ll learn how diaper rash develops and what different types look like, as well as how to treat and prevent it. Keep your baby clean and dry and promote healthy skin!